We are the leading Christmas ecards for business in the international market and our ‘Handful of Tree’ design is symbolic of so many things. 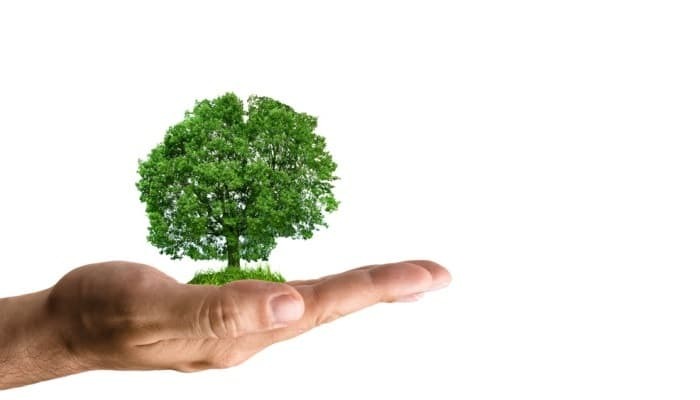 Perfect if you are a marketing company, the tree can symbolise business growth and development with a little care and attention their business can flourish into something successful and profitable. With our plain yet professionally designed ecards such as this, you are free to customise it in any way that you wish. Add a message to the front, integrate some animations or music and liven up your recipient’s inbox with a well received ecard. What’s more, if you choose your ecard from us, you are guaranteed a great choice of ecard templates, suitable for all occasions and impressive professional designs. Additionally, our handul of tree ecard is just one of our extensive portfolio which can be viewed on mobile devices meaning that even if your recipient doesn’t have a laptop or PC but they do have a Smartphone or tablet, they can still view their ecard. The ‘Tree in Hand’ Design is perfect for your business communications, whether you are sending an internal memo to your colleagues or communicating with external customers or suppliers. A professional way to communicate in the modern age with corporate holiday ecards.